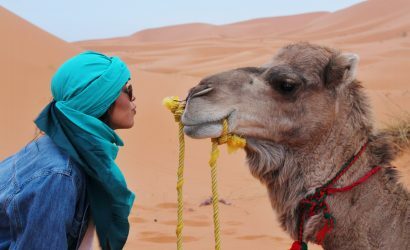 The best way to get from Marrakech to Fes, has to be by camel, through the Sahara Desert. Well, maybe not the entire trip as they did in centuries past. We will take you by road much of the way. 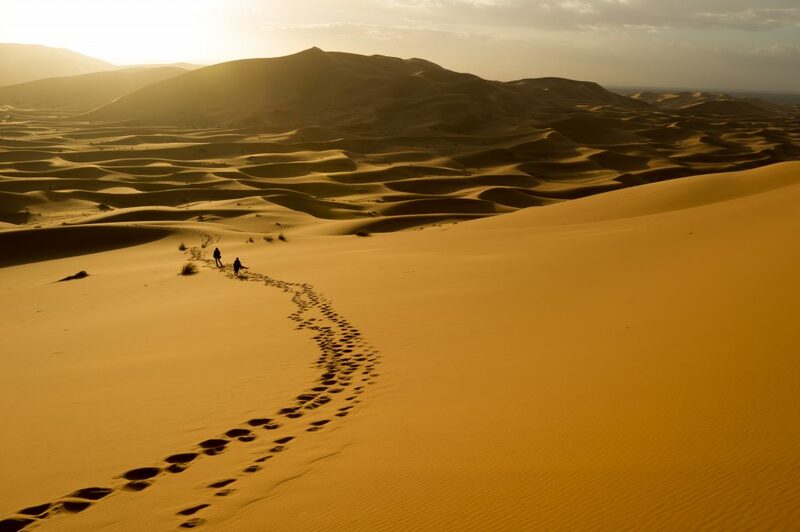 Depart from your accommodation in Marrakech, we will take you on a 2 night adventure through the Sahara for a night of desert camping. Leave the driving to us and the big bus trips to the others. You will have your own vehicle and driver, your own schedule, and your own adventure. 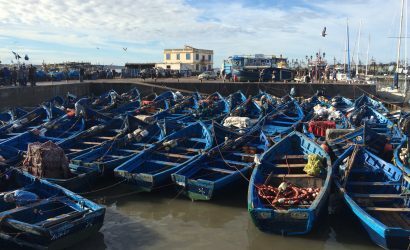 Join us for a trip through time and sand and southern Morocco. 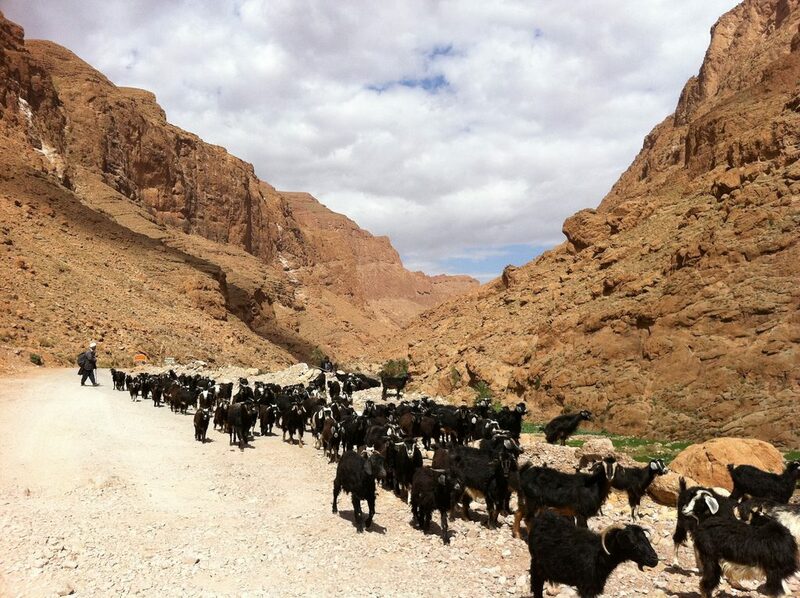 Start this spectacular journey by entering the High Atlas Mountains outside Marrakech. Climb higher and higher to reach Tizi n’ Tichka Pass, the highest in North Africa at 2,260 m.
The landscape unfolds before you and offers new and breathtaking vistas at every turn in the road. 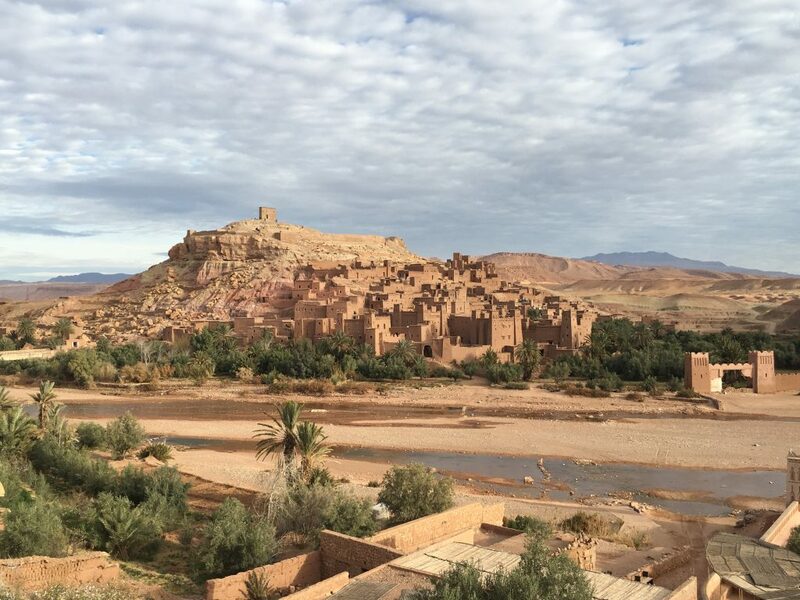 You’ll stop at Ksar Ait Ben Haddou for lunch where you are free to explore the Kasbah. Still the home to five Berber families, it has been the star of many modern movies and TV shows including Game of Thrones and Lawrence of Arabia. 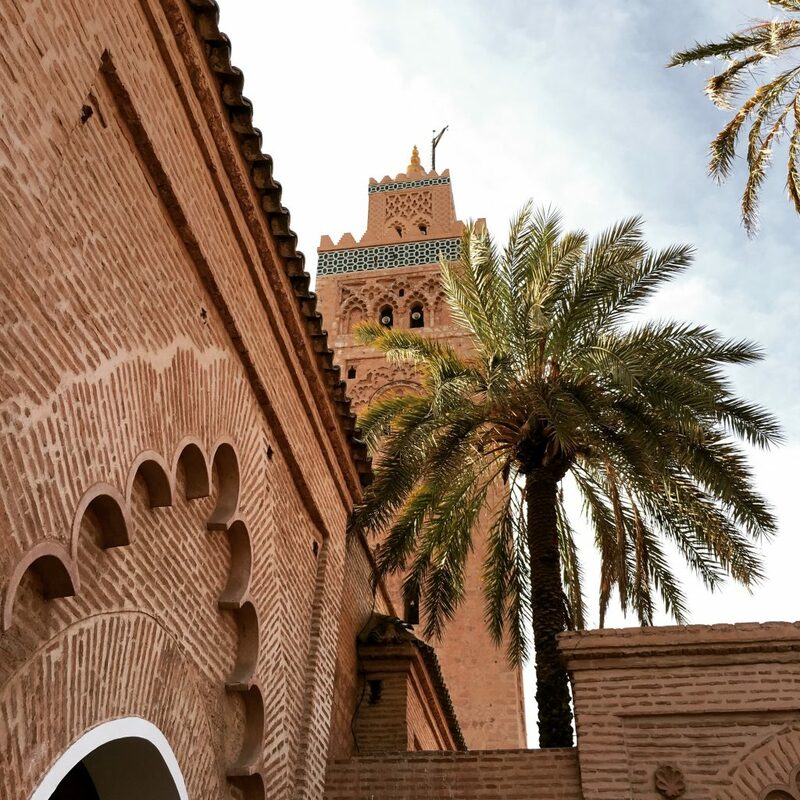 Next you will visit Ouarzazate, the movie capital of Morocco, before continuing and then on to Dades Gorge, one of the hidden gems of Morocco with its steep mountain slopes and amazing rock formations. Relax and enjoy dinner included with your stay. Depart from Dades Gorge after breakfast for a short drive to the Todgha Gorge. Cut through the mountain by a river over thousands of years of persistence, you will walk along the gorge basin, and hopefully spot some rock climbers. The rock face jutts out of the basin at a 300m vertical! 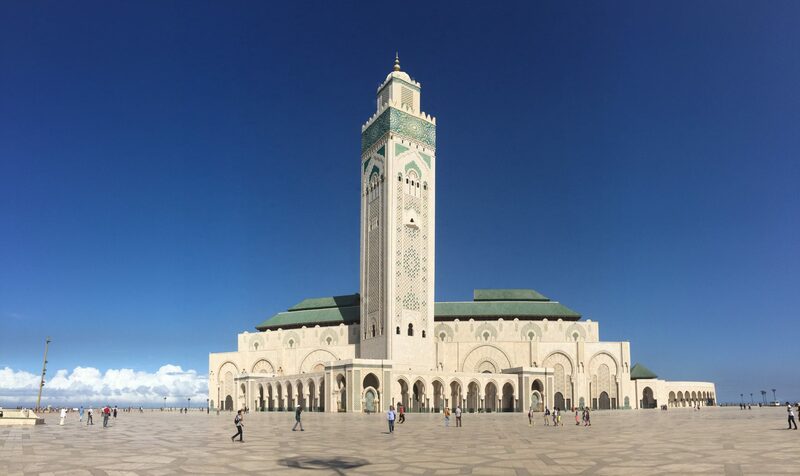 From here you will go to Erfoud, home to some of the world’s oldest fossils and the date capital of Morocco. Enjoy some of the freshest dates plucked from the date palms you have seen along your way. After a tea break it is time to board your camels and head into the desert for a night in the camp. 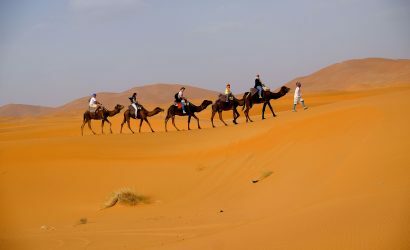 Enjoy the undulating dunes on the leisurely ride on your dromedary. Once you are in camp, you will have a chance to climb the nearest dune and enjoy the views all the way to distant Algeria. Watch the sun set and view the vast desert sky as you settle in to dinner prepared by nomads, before falling into a deep sleep in the total and complete silence of the desert. 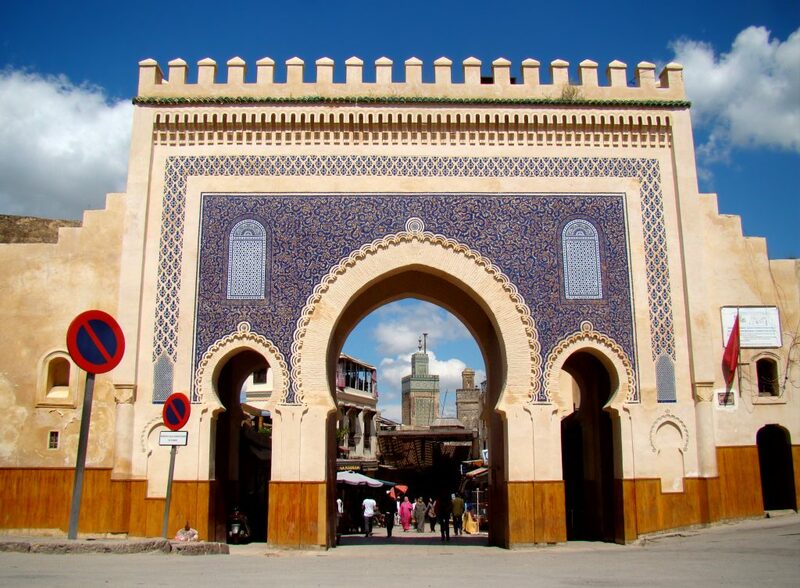 After breakfast, join your driver for the trip onward to Fes. Passing through Rissini, then through the stunning Ziz Valley with its broad sweeping valley filled with date palms, and onto Midelt for a bit of lunch. In the north, south of Fes you will enjoy the Middle Atlas Mountains, not so dramatic as the High Atlas. Rolling meadows and a cedar forest with lush trees and wildlife. Stop in at Ifrane to see the "Switzerland of Morocco" in this super clean European village. We will drop you at your accommodation for the night. Admission to all monuments along the way. Your luggage will come with you for the whole trip, but your big bags will stay secured in the car for the night when you are in the Sahara Desert. 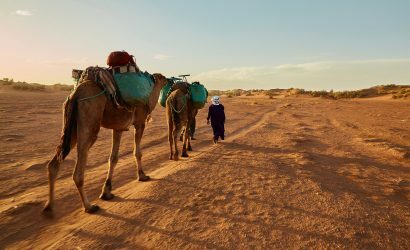 For the night you in the desert, you will just bring a few essentials in a backpack, along with a large bottle of water, so that you can carry your things with you on the camel. Will it be cold in the desert? 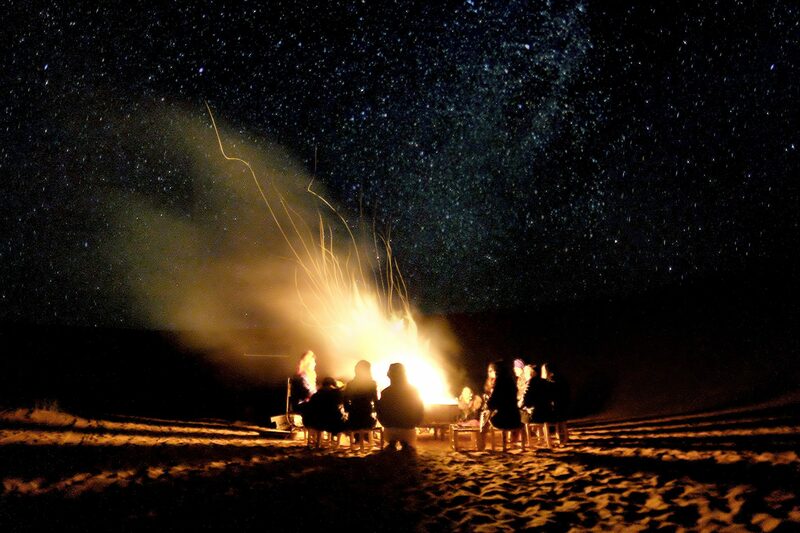 If you are traveling in the summer months, the night time in the desert will be warm, or at best a refreshing time to cool down. In the winter months, it will be cold in the desert, especially after the sun goes down and you should be prepared with warm clothes for sleeping in. There are plenty of warm blankets, but getting out of bed for dinner or toilet breaks will be chilly!